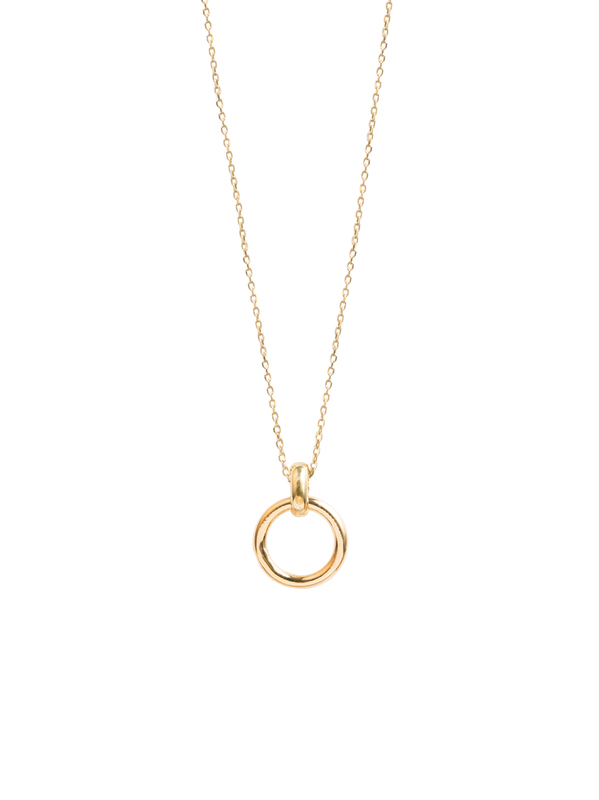 This super cute gold eternity ring measures 1.5cm in width and 1.75cm in length It hangs on a sterling silver trace chain that has been plated in 23.5k gold, as has the ring. The chain has three different length options within the same chain so you can wear it at 40cm, 45cm or 50cm which makes it ideal to layer with other necklaces you may have as you can easily adjust the length. Alternatively wear it solo and it will look absolutely stunning.